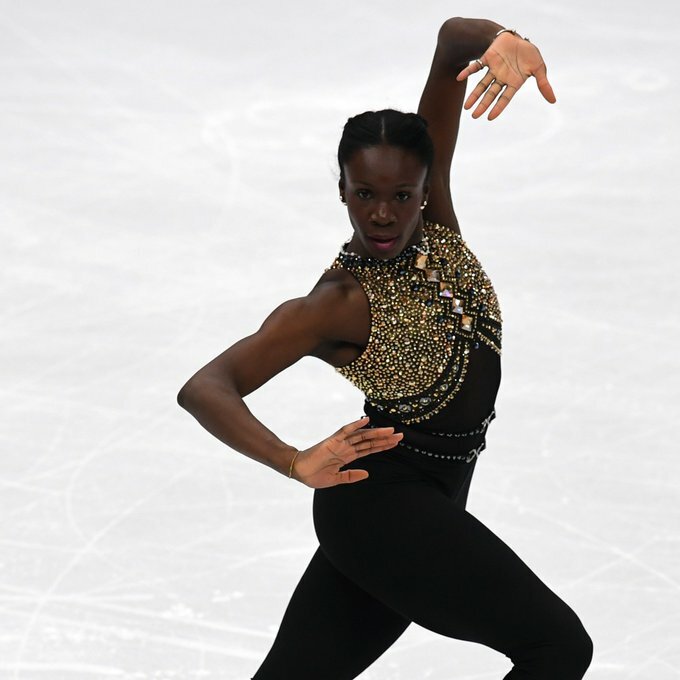 During the ladies’ short event, French figure skater Maé-Bérénice Méité carved out a place for herself by skating to music including the Beyoncé hits “Halo” and “Run the World (Girls).” But that’s not the only aspect of her performance making waves. Méité emerged from the masses in a bodysuit with pants. Yes, you read that right: A figure skater competed at the PyeongChang Olympics sans skirt. The 23-year-old took to the ice in black leggings that appeared to be attached to a gold and black sparkly sleeveless top. And her performance was just as dazzling as it would have been in a frilly, flouncy skirt, if not more so because it was so bold. 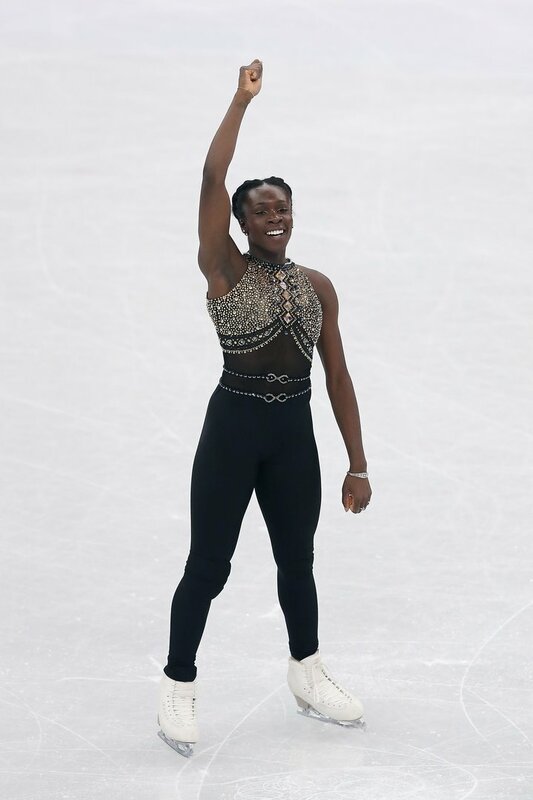 Méité expressively floated and twirled around the ice winning the hearts of the world, despite her fall, with her boundary-pushing music (this is the first Olympics at which skaters are allowed to use music with lyrics!) 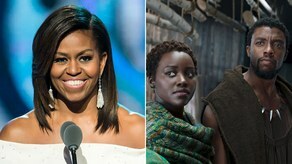 and even more daring ensemble.